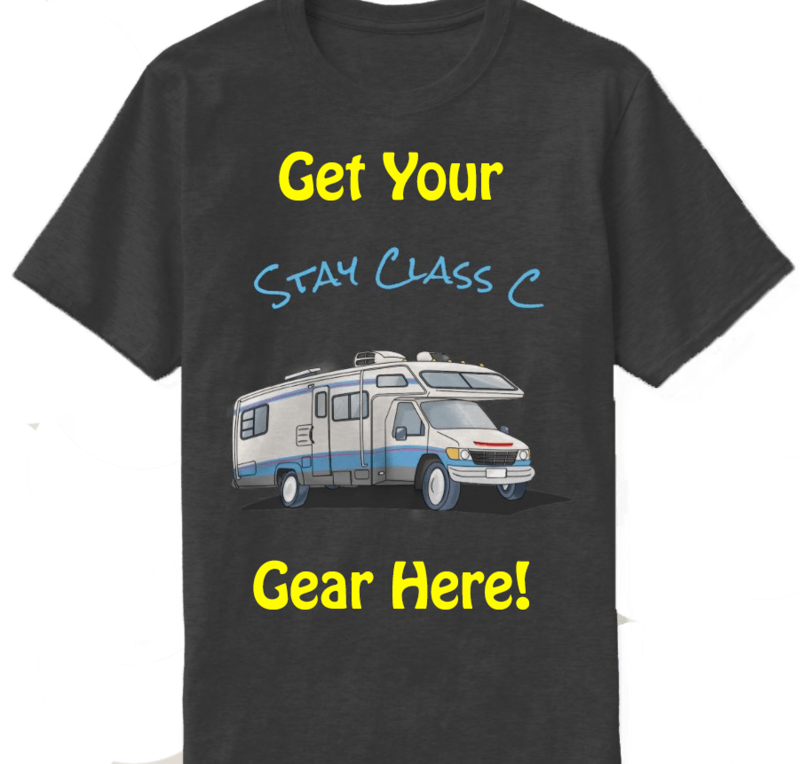 Here is another of our favorite road recipes! I made these several times last year when we were traveling Route 66 and we just enjoyed them again over Memorial Day weekend. These burritos are quick, easy and can be adapted to your taste. This is the vegan version but I make Jay’s with real cheese and turkey franks. 1 bag of Uncle Ben’s Ready Rice, Spanish Style – This rice microwaves in 90 seconds. If you don’t have a microwave in your rig, you can use “boil in bag” rice and season it. Lavash wraps – I like Alpine Valley Bread brand but any lavash or burrito wrap will do. Mrs. Renfro’s Habanero Salsa – We like the hot stuff but you can use any salsa. 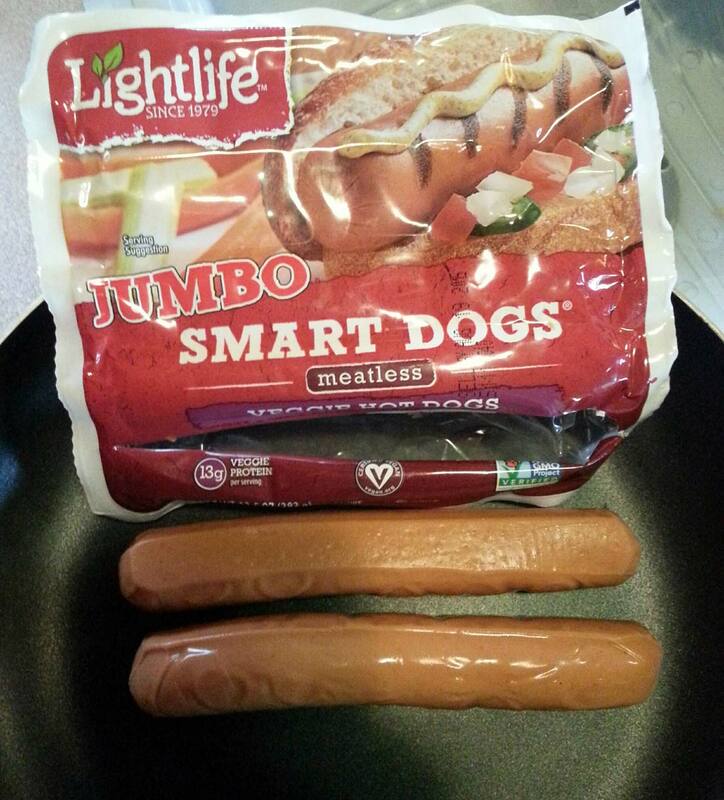 Light Life Vegan Jumbo Smart Dog (1 per burrito) or your favorite franks. 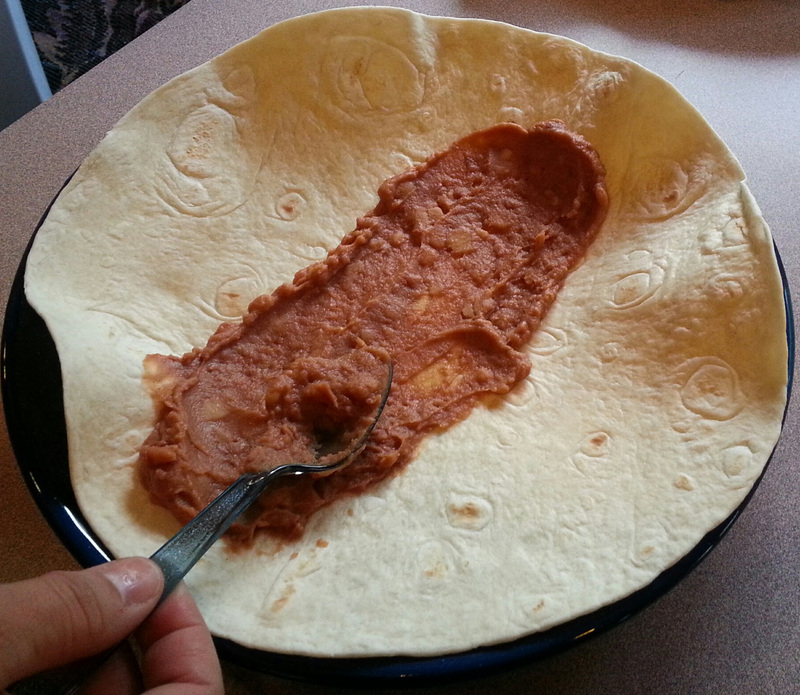 In a small pot, cook the refried beans on low heat, stirring frequently. In a separate pan, fry your dogs using fat-free cooking spray. Drain the Mexicorn and black beans and mix together in a medium pot. Sprinkle in half of the Sazon packet and add a pinch of black pepper. I like yellow onion in my burritos, Jay doesn’t. 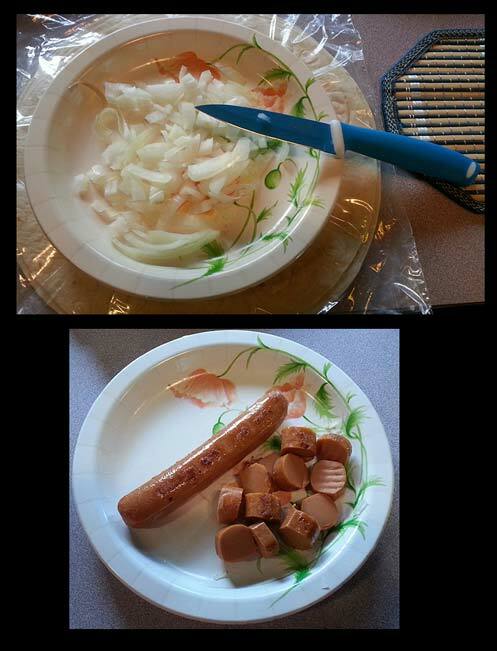 Chop enough onion for your taste. On a separate plate, slice your dogs into half inch rounds. 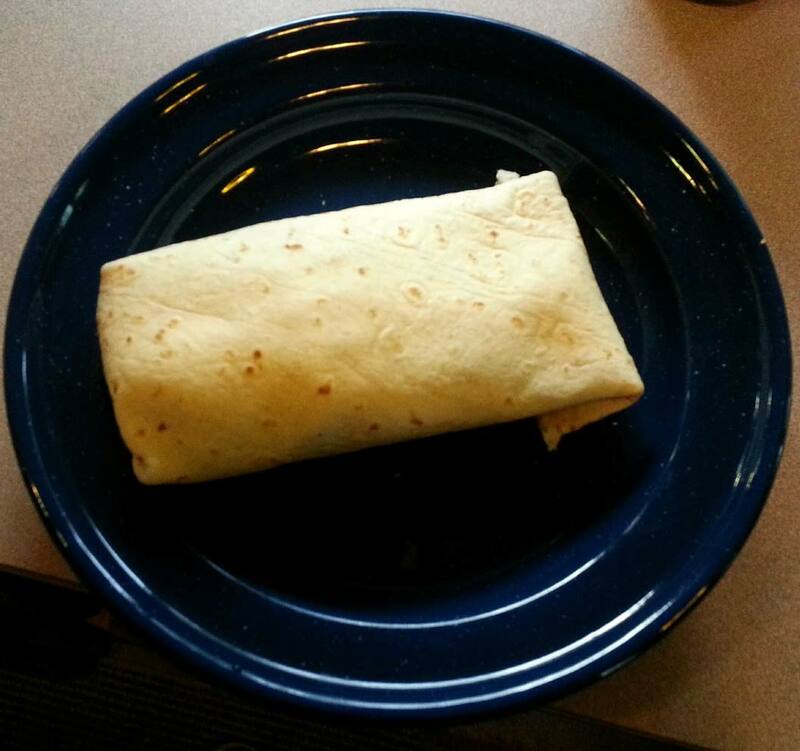 Place one lavash or burrito wrap in the microwave for 10-12 seconds, just enough to warm it up. If you heat it too much, it will split when you start adding the ingredients. DON’T heat your wrap in the oven. This may cause your wrap to dry up and tear apart. You can throw your burritos in the oven if you like after you have rolled it. 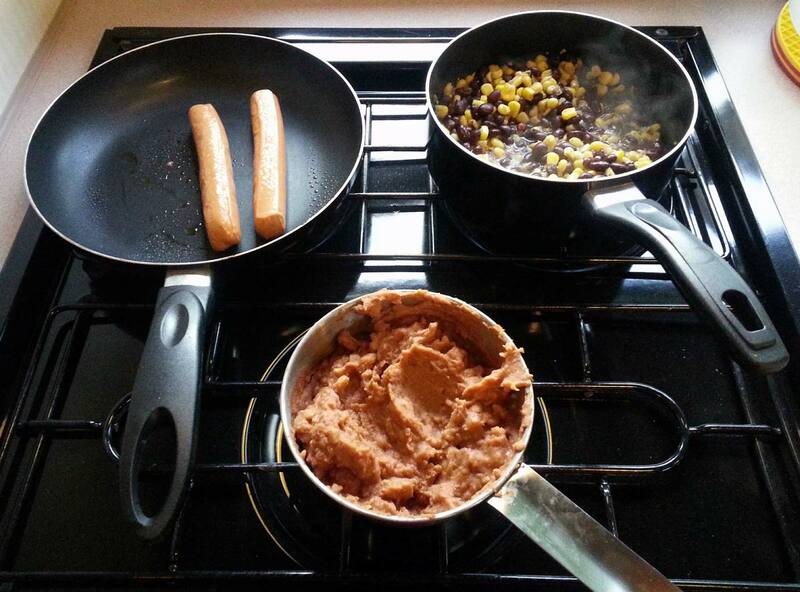 Add a base layer of refried beans, which will help everything else stay in place. Add your rice, black bean/corn mix, salsa, onion, cheese & “meat”. Sprinkle a little of the remaining Goya Sazon on each burrito. 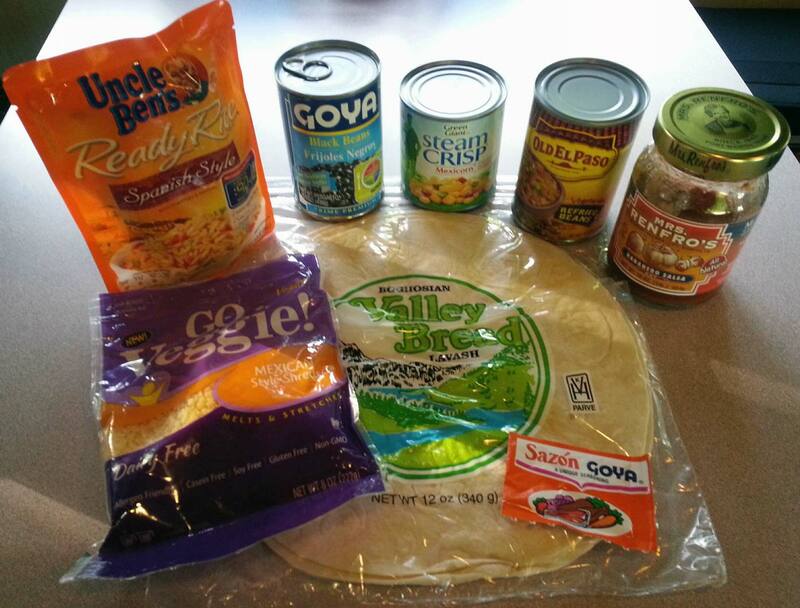 Take the lower part of the wrap and fold it up over your ingredients, then pull it down to tuck everything in. Then take the left end and fold it over. 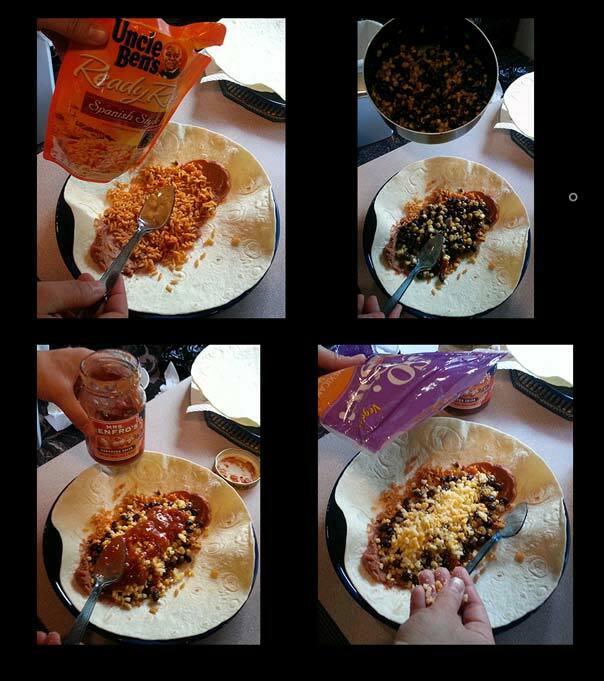 Lastly, roll your burrito until it’s sealed. You may now pop your burrito into the oven for a lightly toasted outer layer. Enjoy! I'll give these a try on the boat.